To our delight here at Immigrant, summer is upon us and we’re pleased to present a striking release from another young prodigy, Z@P. Hailing from the sunny climes of Uruguay, Z@P has made his mark of late with releases on home city Montevideo’s netlabel Ouzomusic alongside the likes of Monoblock and Matias Muten, as well as supplying some of South America’s most important clubs with his unique live sets and infectious brand of groove filled house and techno. 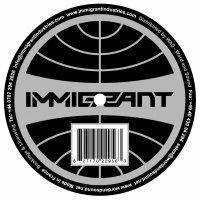 Z@P is accompanied by Resound Records’ A-Inc (aka Akira Ishihara) and Immigrant’s own Bobby Dowell ? 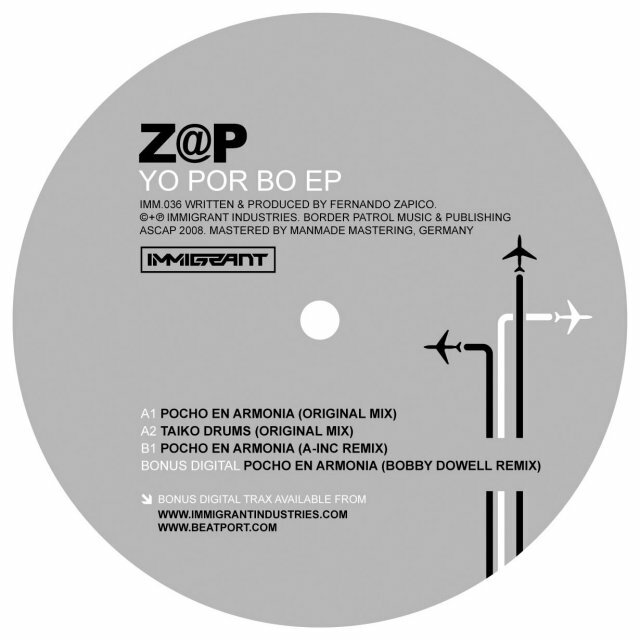 we’re sure this Yo Por Bo EP is a perfect start to a heady season ? multi layered, ever-changing and suspense filled, it’s everything an action packed summer should be. Join us in catapulting Z@P into the limelight. A2 ? Taiko Drums (Original Mix). Drums, drums and yet more drums – introducing that trademark rhythmic patterning from the offset, this track is another fine example of set-building depth and atmosphere. Less intimidating than its predecessor, samples as eerie as they are cheeky compliment a simple bouncing baseline, dripping melody and muffled beats; Z@P the ringleader gathers us all to his cause, hatches a cunning plan and launches into a stopping, starting delight of an escapade. B1 ? Pocho en Armonia (A-inc Remix). 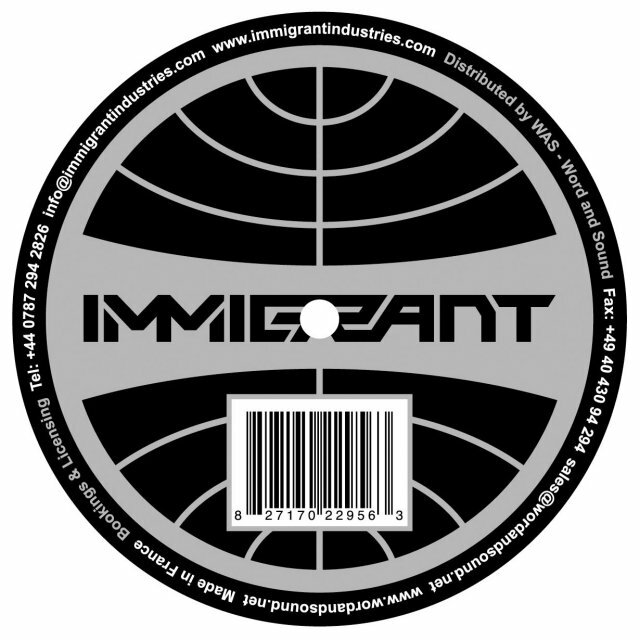 A-inc’s offing reconstructs the original with a solid and more overtly persistent bassline and edgier samples; simple and affective use of arrangement keeps the track interesting by dropping sounds in and out of the mix ? tweaking, groaning, whirring and clicking, Pocho en Armonia’s new incarnation is both cantankerous and mischievous. Like back-and-forth banter, this track is a joy to listen to for its curious assortment of characters as well as an inherent quirkiness. Bonus Digital ? Pocho en Armonia (Original Mix). 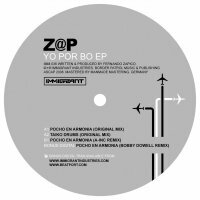 Certainly not holding back, Bobby Dowell’s rework is also somewhat edgier than the original and it wastes no time in building to a feverish melange of nervous sounds and well placed drum patterns, underpinned by an ominous and resounding bassline that chugs along to provide plenty of flow. A hypnotic conclusion to an action-packed EP. We hope your summer is as fast-moving as this.